Why has destiny placed him in the position to be the one who draws the world closer to a dream of peace? Why must he act as an oracle to the fate of mankind, when he perhaps would just like to enjoy a simple life? 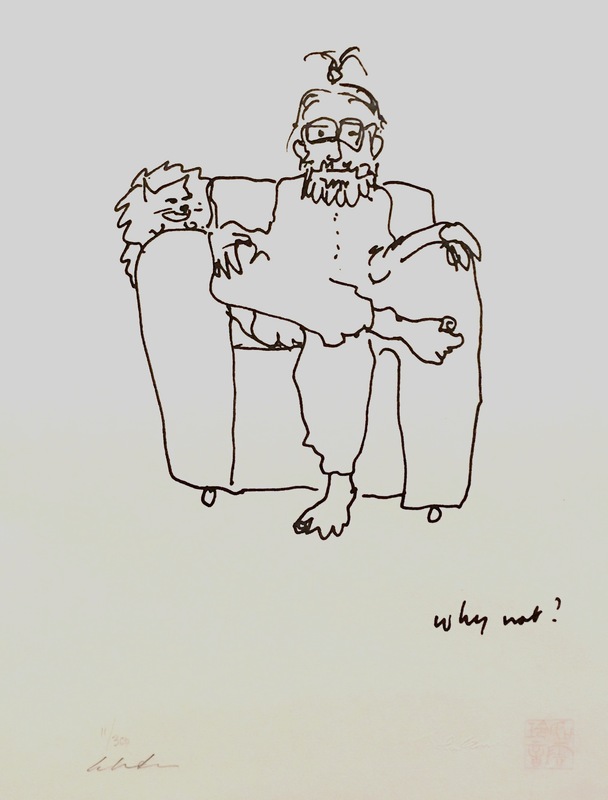 (John drew one of the Lennons’ three cats, resting on the arm of his chair).